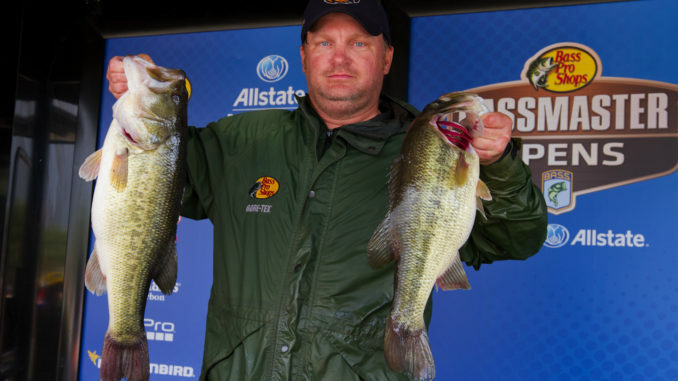 In a March 2015 Bassmaster Central Open on Ross Barnett, Gene Bishop of Ridgeland found big female bass on a prespawn pattern to post a victory. He’ll try to repeat March 1-3 on Barnett Reservoir. For the fourth time in six years, and the 13th time in its history, the Bass Anglers Sportsman Society (BASS) is bringing one of its national tournaments to Barnett Reservoir. The Bassmaster Open Central Division kicks off with a three-day event March 1-3 on the 33,000-acre lake out of Madison Landing in Ridgeland. BASS has held Opens on Barnett in 2013 and 2015, and it brought its premier Elite Series to Barnett in 2017. Why so often, you might ask? There are many reasons, not the least of which is an active Ridgeland Tourism Commission that actively pursues BASS events for the economic impact they bring. The Jackson metro market is important to BASS, too, since it is home to a Bass Pro Shops store in Pearl. BPS is the national sponsor of the Bassmaster Open series, and it likes to stage the final day’s weigh-in at the store. Having a Bass Pro Shops nearby gives the market a step up on many other popular bass-fishing destinations. It is also important to BASS tradition. The original idea of BASS was conceived in the mind of founder Ray Scott of Montgomery, Ala., on a fishing/business trip to Jackson in 1967, two years after Barnett Reservoir was impounded. The fishing trip with friends was rained out, but back in the hotel over a room-service hamburger, with a football game on television, Scott envisioned a grass-roots fishing organization that a year later became the Bass Anglers Sportsman Society. 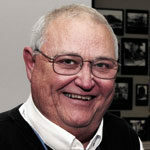 Scott brought tournaments to Barnett often in the early years, from 1968 to 1973, and he brought the sport’s main event, the Bassmaster Classic to Barnett in 1978. It wasn’t until the 2015 Central Open that a Mississippian won a BASS tournament on Barnett. Gene Bishop, who lives less than a mile from the reservoir in Ridgeland, broke through with a victory in March. The timing is not lost on Bishop. Boy was he. After catching less than 9 pounds on Day 1, Bishop caught 26 pounds, 1 ounce on Day 2 to surge into the lead. He then slammed the door on the third and final day with 21 pounds to win going away. “Swimming a lizard in the pad stems, just like everybody on Barnett does in the spring,” Bishop said after being crowned champion. Was that a mistake, telling the secret, now that another March event is coming to the lake? “Not really, no,” he said. “It’s no secret that it’s what we do here, plus, I don’t know if it will be as effective on big fish. You will be able to catch smaller males shallow in the stems, but March 1-3 is usually too early for the big females. About 250 pro anglers will compete in the event, paired with a different amateur “co-angler” each day, with over $275,000 in cash and prizes to be awarded. After launching at the Madison Landing, each day will start in Main Harbor, with checkout to begin around 6 a.m. at Pelican’s Cove and the Main Harbor Store. Check-ins will begin around 3 p.m. at Madison Landing, with Thursday’s and Friday’s weigh-ins conducted at the Landing. Only the top 12 boats will compete on Saturday, and will be trailered to Bass Pro Shops in Pearl for the final weigh-in. The Madison Landing ramp will be closed to public use on Thursday and Friday, March 1-2 to accommodate tournament boats, but will be open to the public March 3 after Saturday’s tournament launch.